Chemico’s chemical lifecycle management programs are an essential element of our customer’s sustainability programs. Our programs have substantial economic, environmental and social impacts on the employees and companies we support, the communities in which we operate, and our planet. 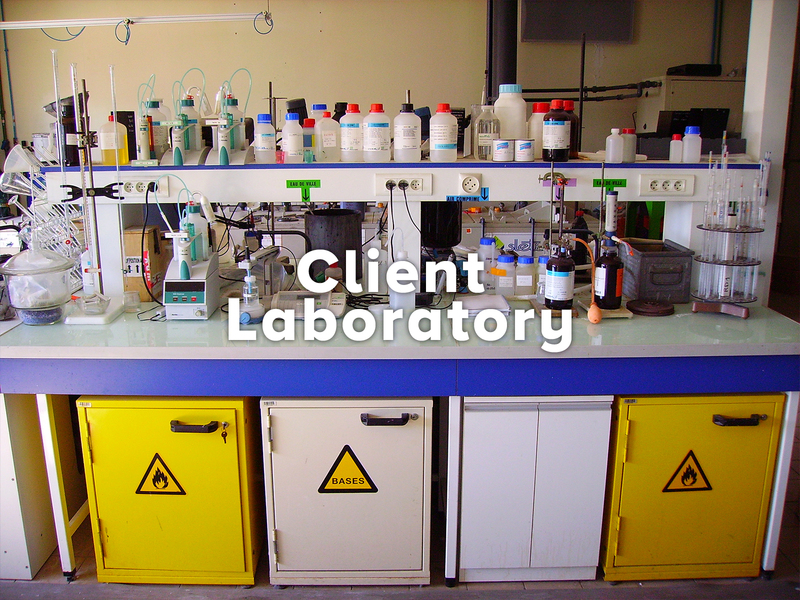 Chemico currently provides chemical management services for an automotive client’s main Research & Development site. The scope of this program is to manage the laboratory chemicals beginning with the procurement process, through management of onsite inventories and collection of hazardous wastes. 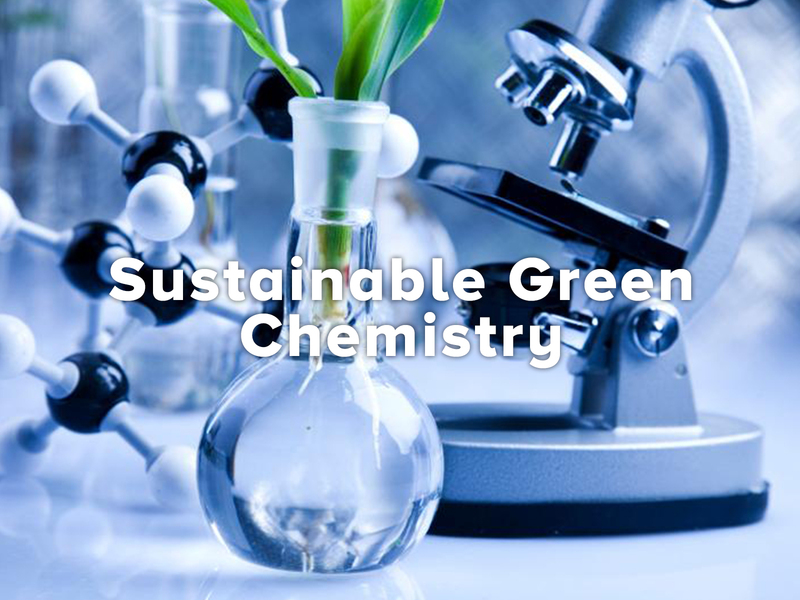 The program is also focused on the reduction of chemical risk through the reduction of on-site inventory, environmental support, cost savings, and maintaining availability of chemicals for the researchers. The program covers a huge geography and number of buildings/locations, and a wide range of chemicals, including: 37 buildings, 5000 chemicals, 50 chemical storage locations, 1000 authorized chemical requisitions, 24 separate buying groups / departments, 400 individual laboratories, and 8000 laboratory chemicals. The chemicals utilized in the program consisted of R&D, water treatment, compressed gases, MRO and janitorial chemicals. Chemico is also responsible for the input and management of over 5,000 MSDS. To date the program has generated numerous benefits to the client. The results included over 20% chemical cost reduction during first three years of the program, over 40% reduction in number of chemicals used, and reduction in onsite janitorial chemical inventory of 60+%. 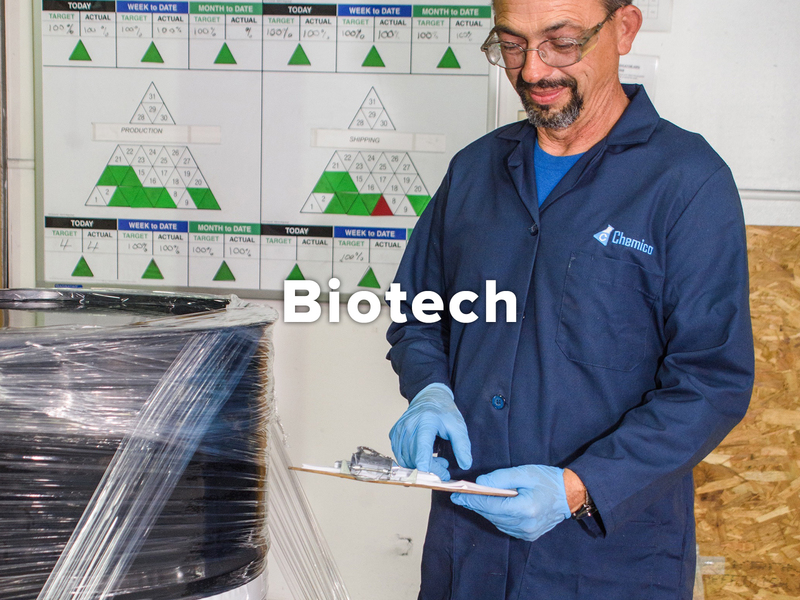 Chemico implemented a chemical management program at for a client in the biotech industry at multiple research facilities across the U.S. The objective of the program was to manage laboratory chemicals beginning with the procurement process, through management of on-site inventories and collection of hazardous wastes. The primary focus of the program included reduction of chemical risk through the reduction of on-site inventory, environmental support, cost savings, and maintaining availability of chemicals for the researchers. Upon program implementation, analysis of the starting inventory indicated inventories to be over reported and generally high. Corrected inventory data and reduction of stocked solvents resulted in an immediate reduction of stockroom volumes by 52%, with a reduction of flammable materials of 45% (by weight). Continued optimization of inventory levels have resulted in a reduction of flammables by 60% and non-flammables by 78%. The reduction in stocked solvents eliminated the need to build additional planned H-rated space at a significant savings to customer. Management of stocked solvent inventories on a just-in-time basis, utilizing historic usage data has reduced the number of containers by 63% since the start of the program. The program has been a significant resource to the EH&S staff for the customer because of the improved data quality in the inventory management system. Quality was improved by updating all material property information with respect to proper nomenclature, CAS number, hazard class and storage segregation codes. The close management of material safety data sheets for all materials in the customer’s MSDS database has contributed to the efficiency of compliance and reporting activities for EH&S staff. 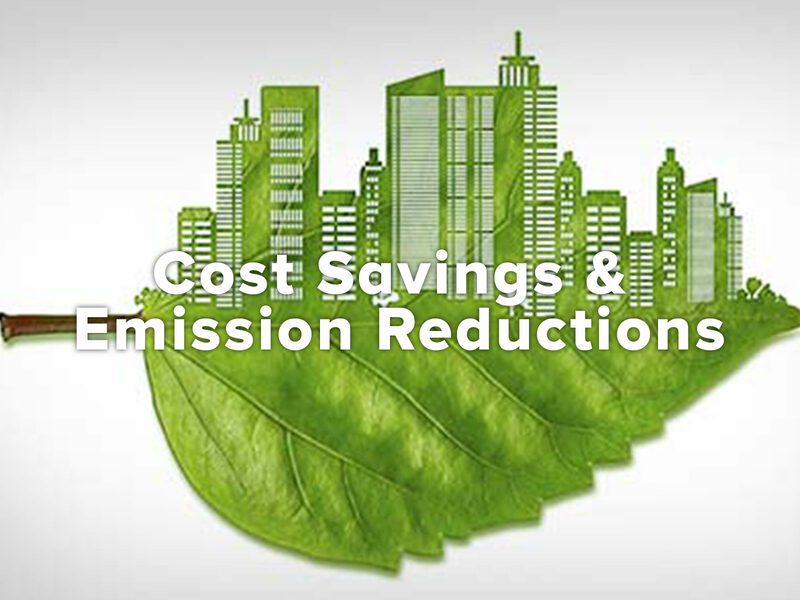 Although cost savings were not initially targeted, significant savings have been achieved. The primary opportunity for cost saving was solvents and other chemicals purchased for production use had a much shorter “shelf life” due to GMP guidelines. The chemical management program took control of these “expired” materials and placed them into use in the laboratory stockrooms. This practice and other efforts to redeploy materials already on-site provided substantial savings. In total, cost savings initiatives have provided over $1,000,000 in savings over the life of the program. Additional opportunities for savings are still in progress with over $500,000 in savings proposed. The program continues to improve the availability of chemicals to the researchers. Benefits of the reduced inventory in the stockroom include a greater variety of materials in stock which improves overall efficiency and reduces cost. The most valuable benefit for the researchers and chemical users is collaboration chemical suppliers to improve their service. The chemical management staff acts as a liaison between the users and the suppliers to resolve issues related to chemical packaging and quality. In fact, recent work with a large solvent supplier regarding quality issues resulted in process changes at the supplier’s facility which were implemented to improve quality for all of their customers. Program staff is active in all supplier negotiations and provides technical advice and historical documentation when required to settle any disputes. Overall, the Chemico chemical management program has been an integral part of customer’s sustainability program. 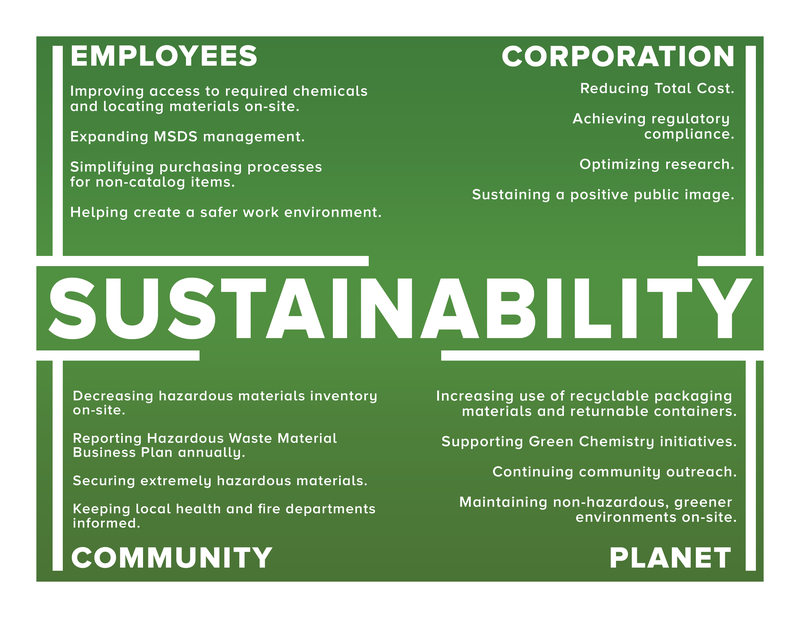 The concept of chemical management and its implementation deliver value across the sustainability spectrum with benefits to employees, the business, the community and to the customer as a whole. Chemico, in partnership with a client in the automotive industry along with another supplier, was tasked with the challenge of creating an environmentally friendly and sustainable green chemistry for use in its paint detackification and solidification process. The paint detakification and solidification process involves the residuals from a paint overspray, which is used to create the sheen finish on the exterior of an automobile, being collected by water and later separated. During separation process, chemicals are added to cause the paint to separate from the water and solidify. The goal of this initiative was to use more environmentally friendly chemicals and increase the efficiency of the overall process, with particular emphasis on improving the solidification and drying process. The solution that the companies arrived to was the creation of a new APEX technology paint detackifier. The technology was tested in a trial and proved to be successful. The trial resulted in significant improvements in the areas of cost, waste, performance, and sustainability. In the cost division, there was a material cost reduction of $85,000 annually (app 60%) as well as a 75% reduction in material used (poundage). In the waste department there was a 50% reduction in sludge disposal costs. The trial also produced a considerable increase in performance. There was an 84% reduction in total suspended solids, an increase in sludge solids from (29% to 60%), and a 97% reduction in turbidity of water back to booth. Lastly, in the area of sustainability there was a renewable resource based material, 4600 pound annual reduction in volatile organic compounds (VOCs), and eliminated formaldehyde content. The success of the trial resulted in the full implementation of the new APEX technology paint detackifier and additionally resulted in recognition for environmental accomplishment by the Tennessee Chamber of Commerce & Industry at the annual Tennessee Chamber Environmental Conference. Recently, a Chemico customer converted from an aluminum salt based paint detackifer technology to the current green based technology. Several advantages were achieved with these conversions. Total sludge removed was reduced by approximately 40% while maintaining the efficiency of paint solids removal. This was achieved through reduced chemical usage compared to the old technology. An aluminum salt program requires a very large amount of solids to be added, in the form of chemicals, for the process to work. CPU was reduced by an average of $1.50. Performance was on par with the previous technology and produced a huge benefit in terms of odor. The green technology produced a much less pungent order, which to paint shop personnel, was the most noticeable benefit. Another process improvement was the cleanliness of the eliminator sections. The eliminator is the area under the paint booth that captures the over-sprayed paint and is a major contributor to booth air balance. The new technology has been accepted by all facets of the manufacturing process, including Booth Cleaning, Chemical Management, Environmental, Safety and Production. We can confidently say that the plants will not revert back to the older technologies.